Self Catering: 3 star rating, No 6 Tolsta Chaolais is a modernised croft house, centrally heated, homely, comfortable and well equipped. It is ideally situated for access to sites of historic interest and some of the country's most beautiful beaches. The property consists of two double bedrooms, living room, kitchen/dinette, hallway and bathroom / shower. The property also has an enclosed garden area and parking. 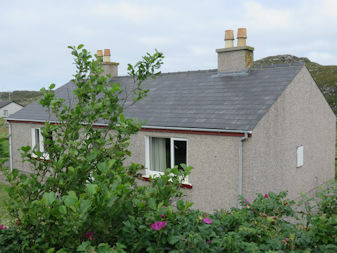 Tolsta Chaolais is an idyllic location for anyone looking for a quiet holiday. It is off the main road with most of the Island traffic by-passing the actual village. Nestling in the hills the cottage stands on its own with croft ground on one side stretching down to the peaceful village loch where the odd trout can be caught, on the other side going over to the sea (Loch Roag) where there are beautiful coastal walks. 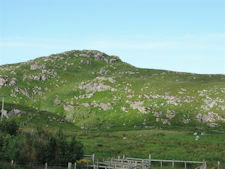 There are opportunities for hill-walking and in addition there are recognised walks for keen walkers. There is a variety of birds, sea-birds and wildlife. There are splendid views in all directions and on a clear day from the highest peak in the village there are extensive views of rare beauty westwards to Uig and beyond. Please click on the link Cottage Guide for more information.